The True Son of David – The Title “Son of David” means a) King David was a man after God’s own heart, b) David’s posture towards God is an example all should follow c) Jesus is the Ultimate & Eternal Son of David’s Lineage. Sincere and Best Offerings stem from The Greatest Commandment and its outcomes. Mark 12:37 And the COMMON people (= the great, numerous throng who came from far and wide) heard him gladly. Those who tried to trip up Jesus got shut down – or shot down, if you liked Jon’s analogy to the Scribes and Pharisees coming to the OK Corral to callout Christ and take Him down. We try to fit in with man’s current scientific and cultural narrative, (EW often driven by politics). We haven’t yet READ and digested the other Scriptures that explain the ones we don’t understand. Prov 3: 5-6 Trust in the LORD with all your heart, and do not lean on your own understanding. 6In all your ways acknowledge him, and he will make straight your paths. Jesus is the Son of David because a) David was a man after God’s own HEART and b) David was a warrior King, who unified or saved Israel. Jesus is the son of Abraham because like ISAAC, He was going to lay down His life and be SACRIFICED — for real!!! PROPHECY was fulfilled by tracing Christ’s genealogy through both Abraham and David. (For David see: Jeremiah 23:5; Psalm 132:10-11, compared with Acts 13:22-23, and John 7:42. For Abraham see: See Genesis 12:3; Genesis 21:12; compare Hebrews 11:13; Galatians 3:16. Jeremiah 23:5; “Behold, the days are coming, declares the LORD, when I will raise up for David a righteous Branch, and he shall reign as king and deal wisely, and shall execute justice and righteousness in the land. Galatians 3:16 Now the promises were spoken to Abraham and to his seed. He does not say, “And to seeds,” as referring to many, but rather to one, “And to your seed,” that is, Christ. walk around in long robes – symbolic of their OUTWARD (vs. 38) “self-prescribed” piety. like greetings, wanted to be acknowledged by MEN (vs. 38) Matthew 23:8 But be not ye called Rabbi: for one is your Master, even Christ; and all ye are brethren. (KJV) ESV says, But you are not to be called rabbi, for you have one teacher, and you are all brothers. Be not ye … – Jesus forbade his disciples to seek such titles of distinction. The reason which he gave was that he was himself their Master and Teacher, They were peers on the same level, equal in authority under Christ; they were brethren; and they should neither covet nor receive a title which implied either was elevated above others, or which appeared to infringe on the absolute right of the Saviour to be their only Teacher and Master. 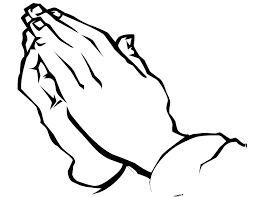 cont..: The Parable of the Pompous Prayers – Mark 12:40 …and for a pretense make long prayers. Jesus said the Scribes … f) for a pretense make LONG prayers. (vs. 40) Pretense means “Cloke” in Matt. 23:14; Mark 12:40; Luke 20:47 (AV “show”); It signifies the assuming of piety or religiosity to disguise one’s real motives. It’s not the length but the HONESTY (free of deceit and untruthfulness) of our prayer that carries weight/value with God. Long repetitive prayers, which the Bible in Matt 6:7 calls babbling vain repetitions are worthless, regardless of how sincerely you . NIV = “And when you pray, do not keep on babbling like pagans, for they think they will be heard because of their many words and The KJV = But when ye pray, use not vain repetitions, as the heathen do: for they think that they shall be heard for their much speaking. Why when Jesus repeatedly in Scripture says to “Pray In My Name” would we risk praying to or in the name of anything else? Mk12:43 says this lesson on giving is only for disciples. Jesus beheld HOW (in what way or manner) they were giving. Widow’s offering was about 1/2 – 1/3 of 1 cent. She could have put in 1, but she put in 2. Barnes says, “about three mills and a half in value, or one-third of a cent. Others generally say it was about 1/2 a cent. Barnes says her offering “showed more love to the sacred cause, more self-denial, and, of course, more sincerity.” This is the rule by which God will reward us. Compare 2 Corinthians 8:12. (ESV) For if the readiness is there, it is acceptable according to what a person has, not according to what he does not have. Mark 12: 43-44 43And he called his disciples to him and said to them, “Truly, I say to you, this poor widow has put in more than all those who are contributing to the offering box. 44For they all contributed out of their abundance, but she out of her poverty has put in everything she had, all she had to live on. has suffered loss – the loss of a husband. Widowhood is associated with particular sorrow, which either can make people hard, bitter and selfish, but this widow was benevolent and giving though she was poor. being poor, either never had wealth, or has suffered the loss of her former financial status. made a decision to give vs. holding on to her last few cents. may not know from where her next money or means of support may come. Both c and d may indicate that she is displaying a special trust in God for her well being. A right relationship with God is based on Calvary – Christ’s Finished Work on the Cross! The giving that has meaning with God includes which of the following? Matt 6:21 Where your heart is there will your treasure be. 2 Cor 8:12 KJV For if there be first a willing mind, it is accepted according to that a man hath, and not according to that he hath not. 1 Cor 13:3 ESV – If I give away all I have, and if I deliver up my body to be burned, but have not love, I gain nothing. Since The Greatest Commandment and is to love God, the “love spoken of here is “love of God.” For if we love God right, we’ll also love our neighbor correctly. Let’s Commune with Christ, our Savior, who knows the heart of the doer behind the deed. May we open our lives to Him, so He works in us to make us the type of doers who do deeds that are acceptable in his sight.